In a shifting and unstable world, questions regarding the cultivation, crystallisation, and manipulation of political and social identity categories seem more pressing now than ever before. Against the backdrop of rising populism, grassroots activism, and inter- and intra-communal antagonisms across the globe, how are we to make sense of the shifting sands of identity change? While scholars and commentators in political science and other disciplines have mostly been preoccupied with top-level political changes – the election of President Trump in the US; the manipulation of xenophobia in the Brexit vote; the rise of neo-Nazism in Europe, for example – the details of everyday life that underpin such changes have often been overlooked from a theoretical and policy perspective. In this article, I argue for the need to go beyond such top-down political hierarchies and take seriously the multiple and nuanced ways in which individuals and groups are constantly (re)negotiating, (re)imagining, and (re)interpreting political and social identities at the very micro level. The paper is based on my doctoral fieldwork conducted among Iraqi Shi’i communities in London, comprising more than two years of ethnography, participant observation, and interviews. Drawing on this rich empirical material, I take the example of Shi’a religious rituals as a starting point from which to develop a theory of identity change that highlights the fluid, contextual, and unstable nature of political and social identities. In particular, the notion of the ‘performative’ – borrowed from the work of Judith Butler – plays a key role in illuminating the ways in which identities are constituted and rendered meaningful by an ensemble of political and social performances. In this sense, as performed and performative social practices, religious rituals both result from and are productive of political identities. It is for this reason that I foreground a micro-level analysis of Shi’a religious aesthetics in the paper. In particular, I explore the ways in which rituals of mourning and commemoration come to performatively constitute alternative articulations of Iraqi-Shi’a identity across time and space. As a minority branch of Islam (Shi’is make up an estimated 10-15% of the global Muslim population), Shi’ism has often been overlooked in studies relating to Islam and Muslim identity, especially when it comes to Shi’a minority communities in the West. For this reason, my choice to focus on Iraqi Shi’is (who are institutionally and culturally dominant among British Shi’is, though they do not necessarily represent the largest demographic group) should be understood as an attempt to redress the scholarly neglect of Shi’ism and to highlight questions of inter- and intra-communal antagonism, negotiation, and difference as exemplified by the minority status of Shi’ism. 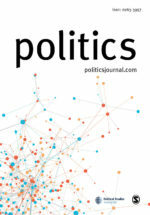 Moreover, as a quintessentially transnational politico-religious identity category, the study of Shi’ism represents an opportunity to speak to wider processes of identity change that echo across national borders; especially changes relating to a sense of growing polarisation, fragmentation, and sectarianisation of the global political sphere. My research findings point to a number of performative practices undertaken by Iraqi Shi’is in the diaspora that are implicated in a wider identity shift in which sectarian and religious forms of identity are taking precedence over nationalistic and community ones. This ‘sectarianisation’ of Shi’a identity in the British context is increasingly significant given the growing profile of Shi’ism both internationally (as a result of sectarian conflicts in the Middle East, as well as the transnational influence of Iran) and domestically (due to rising Sunni-Shi’a antagonism in the UK). In this sense, while my empirical conclusions are drawn from a single case study, the theoretical preoccupations underpinning the paper go far beyond the particular case in hand and speak to patterns and processes of identity change more broadly – especially when it comes to the (re)drawing and (re)articulation of in- and out-group boundaries. Paying attention to the micro-level practice of everyday identity performances (such as religious rituals), I argue, allows room for complexity, nuance, and ambivalence in the study of political and social identities. 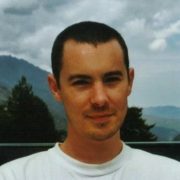 In this sense, the methodological focus on micro-level identity practices contributes to the destabilisation of top-down political hierarchies and gives due recognition to the local, private, bodily, and subjective realities of human experience that have for too long been overlooked in the realm of international politics. Emanuelle Degli Esposti is a current Research and Outreach Associate at the Centre of Islamic Studies, University of Cambridge, where she is investigating intra-communal antagonism and identity politics among Shi’a communities in Europe. She holds a PhD in Politics and International Studies and an MSc in Middle East Politics from SOAS, University of London, and an MA and BA in Philosophy and Modern Languages from the University of Oxford. Her doctoral research drew on the case study of the Iraqi Shi’a diaspora to develop an alternative framework for conceptualising sectarianism as the unconscious of identity formation. Beyond academia, Emanuelle also delivers security and risk analysis on Europe and the Middle East for a range of private-sector clients, as well as having professional experience in consultancy and journalism. In 2011, Emanuelle founded The Arab Review, an online journal showcasing arts, culture, and politics from the Middle East.